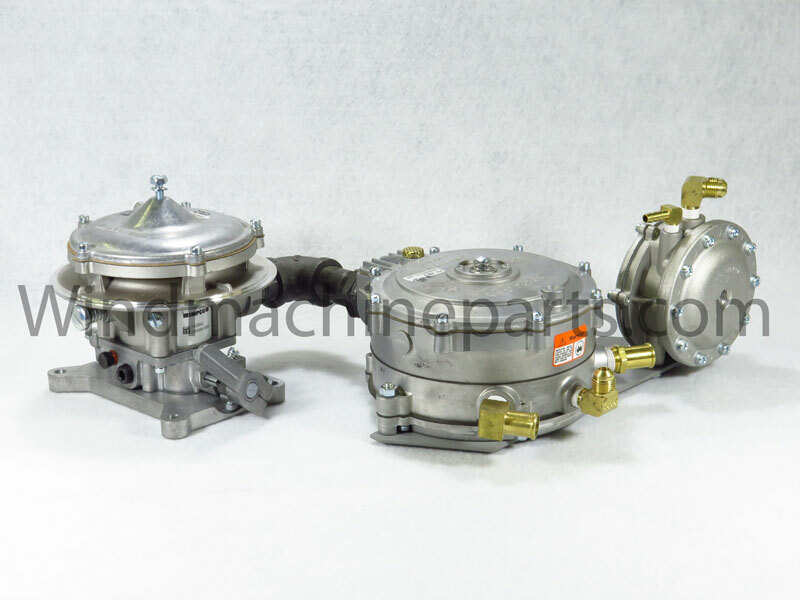 We offer a large selection of Propane Parts for Amarillo, Chinook, Crop Saver, Orchard-Rite, and Tropic Breeze wind machines. We sell individual components or we can sell an entire system configured for your specific wind machine make and model. We also carry fuel filters for your propane system. A complete fuel system that includes the throttle body with throttle lever, mixer, regulator and fuel lock-off complete with all brass fittings, ready to bolt onto your engine. Fix a rough-running motor or convert a gas engine to clean-burning propane and eliminate the hassle of a choke. Throttle bodies wear out with age and can allow a vacuum leak at the throttle lever. Replace the throttle body to eliminate this issue. The fuel regulator is a key component of the fuel system. A rough running engine after a hot shut-down where the engine wasn’t allowed to cool after running or a backfire can damage the regulator. The mixer is where liquid propane is transformed to gas which then feeds fuel to the regulator. As a mixer becomes worn out, it can cause issues including a rough running engine and failure to start. Replacing an old mixer can improve how your wind machine starts and runs. The fuel lock-off prevents fuel from passing through the propane system unless the engine is starting or running. A leaking or worn out fuel lock-off allows fuel to pass when the engine is not running which can cause a hissing sound momentarily after the engine has shut off. It can also fail, keeping fuel from passing at all. Replacing the fuel lock-off can cause these issues. We also carry fuel filters for the fuel lock-off.